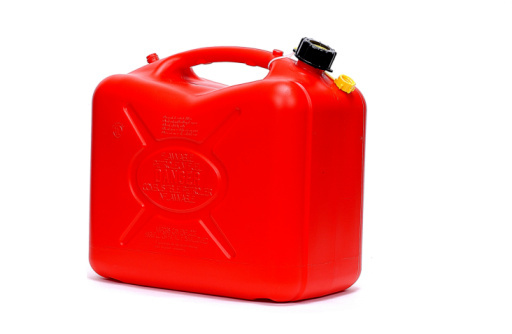 A highly flammable liquid, kerosene requires immediate cleanup when the liquid spills while filling lanterns or kerosene heaters. Kerosene may also leave oily stains on concrete or carpet and requires an absorbent to soak up the liquid and a cleaner to wash away the stain. Getting rid of kerosene spills does not require special products, but the sooner you remove the stain, the less likely it becomes permanent. Open windows and doors leading into the room to disperse toxic fumes. Roll up old rags and lay them around the kerosene spill, creating a barrier to keep the liquid from spreading on the carpet. Pour baking soda or cornstarch generously over the spill. Cover the kerosene with a thick layer of the absorbent. Allow it to absorb the kerosene over a 10 to 15 minute period. Remove the rags and place into a plastic trash bag. Vacuum the absorbent from the carpet with a sweeper or hand vac. Pour a quarter-size amount of dry-cleaning solvent onto a white cloth. Dab the cloth into the carpet, lifting the stain. Turn the cloth and apply additional solvent. Continue blotting the stain from the carpet. Mix 1 tsp. each of liquid dish soap and white vinegar into 2 cups of water. Wet the mixture with a sponge and dab it onto the remaining kerosene stains. Rinse the sponge, then wet it again with the soap as you continue removing the spill. Rinse the area by sponging it with cold water. Dry the carpet by pressing it with towels. Lay old rags over the kerosene to soak as much of it as possible from the floor. Place the soaked rags into a plastic bag and into a trash can. Sprinkle kitty litter heavily over the remaining liquid. Allow it to absorb the kerosene for 20 minutes. Scoop the kitty litter into a trash bag. Sweep remaining bits of kitty litter into a dust pan and deposit it into the trash bag. Place the trash bag into an outside trash receptacle. Mix 2 tbsp. grease-cutting soap into a bucket of hot water. 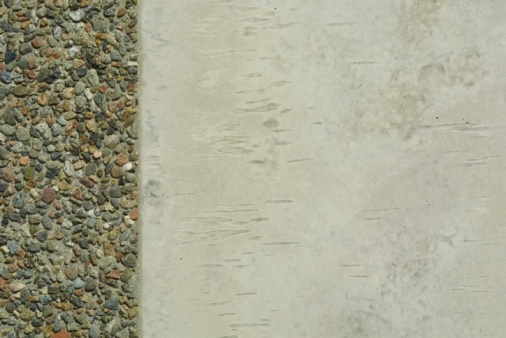 Dip a stiff-bristle brush into the mixture and scrub the concrete thoroughly. Rinse the soap from the concrete with a garden hose. Sweep excess water from the concrete with a broom.